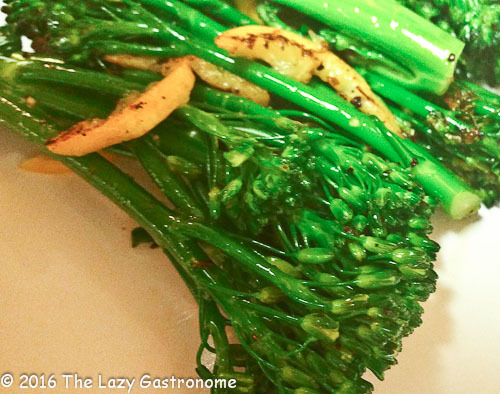 Broccolini is a type of broccoli. It’s got thinner stalks and a more delicate flavor. Pair it with preserved lemons and you have a bright and delicious side dish! 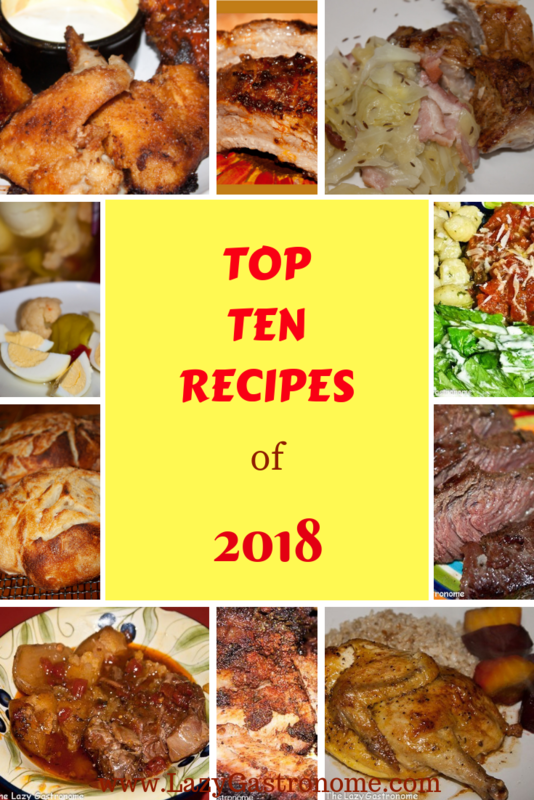 And it’s fast and easy to make! Trim the broccolini, removing the browned ends. 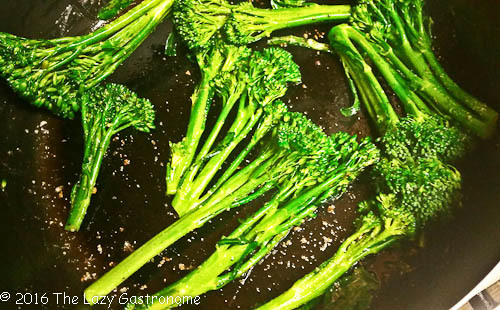 Gently sauté the broccolini and the garlic. Slice the lemon into very thin slices, including skin. Add to the pan and cook just enough to warm. Add the salt to taste and serve hot. NOTE: You can find preserved lemons in stores that offer Middle Eastern foods. But if you can’t find them, you can make them. You need two meyer lemons – cut one in quarters and juice the other. Cover the lemon with salt (about ¼ cup) and then the juice. Allow to sit, on the counter at room temperature, for at least 24 hours – a few days is better. And there you have it! 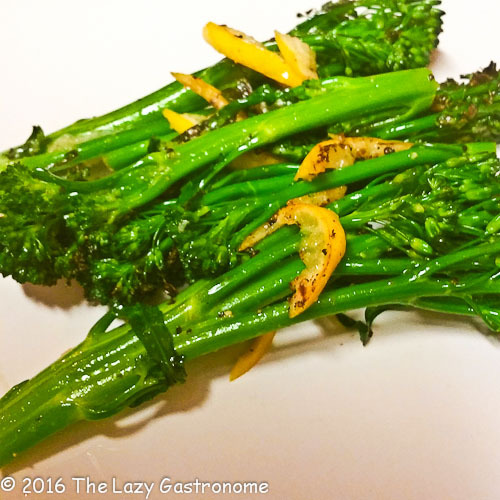 This entry was posted in Broccolini and tagged broccolini, healthy, low fat, preserved lemon, side dish, vegetables. Bookmark the permalink. Thanks – and to you as well! Wow, I’ve never cooked broccolini! This looks great! Thanks for sharing at #HomeMattersParty!